If you’re looking for relief from severe chronic pain, joint or nerve pain, traumatic injury or whether you are searching for ways to beat the aches and pains of day-to-day living, you will find that the staff at our chiropractic centers are here to guide you on every step of your recovery journey. In sports, the importance of optimizing the recovery-stress state is critical. Effective recovery from intense training can often determine the success or failure for athletes . 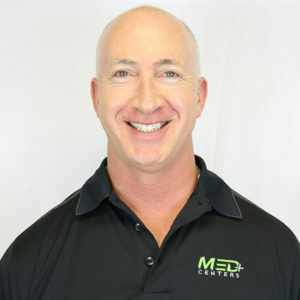 Med Plus Centers utilizes the latest chiropractic, physical therapy, and orthopedic techniques to keep your body performing at its best. Whether you are involved in an minor accident or in catastrophic one, you need to visit a health professional that truly understands soft tissue injuries, spinal biomechanics, and rehabilitation strategies to ensure the fastest and best recovery of your spine, nerves, and overall body. Our purpose is to help contribute to a person’s overall happiness by transforming their physical well-being to its highest level by utilizing the latest chiropractic, physical therapy, and medical techniques. 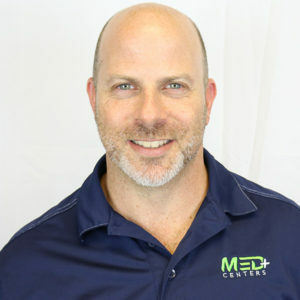 Dr. Brandon J. Hochman, DC has 15 years experience and credits his career path with being mentored and treated by some of the most highly skilled and successful chiropractors in the industry. Dr. Lawrence Weiner, DC has been serving the Miramar community for over 15 years. Dr. Weiner is a qualified chiropractor with extensive training in the diagnosis and treatment of traumatic injuries. I got lost and came an hour late. The doctor saw me anyways. He explained my issue in an easy-to-understand manner, and was very up-front and honest about the procedures (e.g. “An x-ray would help me out, but your insurance won’t cover it, and I don’t think it’s necessary given the current state of the injury”). I’ve had a dentist lie to me, saying “Your insurance might cover this”, so that level of honesty was very much appreciated. The office was also a lot livelier than expected. All of the employees were very friendly. I have been a patient of Dr. Hochman for nearly a year now. As a very active, competitive athlete in my teens and early twenties (as well as a major car accident when I was 19), my body had really taken a beating. When I first went to visit Dr. Hochman, I couldn’t stand for more than five minutes without extreme pain in my lower back. Long story short, 3 months after first seeing him, I ran my first half marathon and am back to the active lifestyle I love. Without Dr. Hochman (and his AMAZING and really friendly staff), I would probably still be suffering extreme pain and living a sedentary life. I now see him every 6 weeks for “maintenance”, ensuring my continued active lifestyle doesn’t knock me off my feet again. I definitely recommend him to all my friends and family and am thankful to have found such a patient, kind Dr. Thank You!!! I found the environment very welcoming and everyone very courteous/professional. I plan on utilizing his services moving forward and WILL recommend him to family and friends. Dr Hochman has great bedside manners, very professional, excellent staff , I highly recommend him to others in need of a chiropractor. Schedule a free consultation with us today to create an individual treatment plan.